Break FREE from your Limiting Beliefs! Put the date & time into your diary AND also set a reminder in you phone. I'll also send you an email with all these details. At the time of your call please allow 45 minutes and make sure you are in a quiet room with NO distractions (with something to take notes with close by)! I look forward to speaking with you soon! OMG I still pinch myself when I think back to the massive changes I have made and how easy it was. Why didn’t I do it sooner? 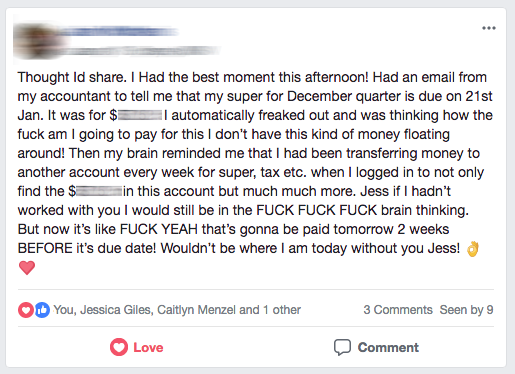 When I think about my business life before Jess, it was a struggle. Constantly reacting to events and problems. I was avoiding issues because they all seemed too overwhelming. I got really sick and the stress was all too much. And now since working with Jess we are being proactive in our approach. Our business is growing faster than I imagined possible and we understand and are in control of our finances. Even my staff are loving the changes. I’m so excited about what’s unfolding! I can’t believe I waited a year to do this - it amazes me how easily this transformation has happened! The Money Mastery Academy has been life changing, since joining I have manifested life changing experiences with such ease and joy. 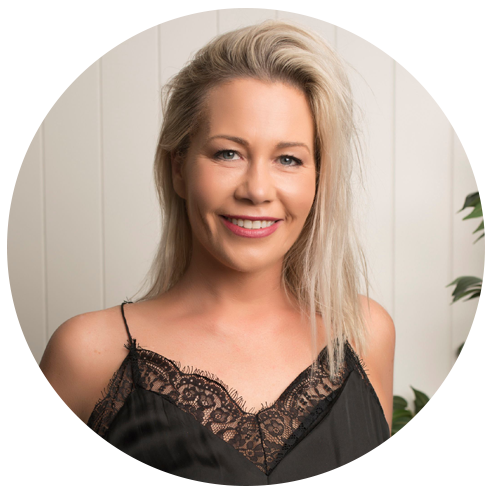 Since working with Jess I have launched my own salon coaching business, my goal was for 5 coaching clients before my wedding in April. 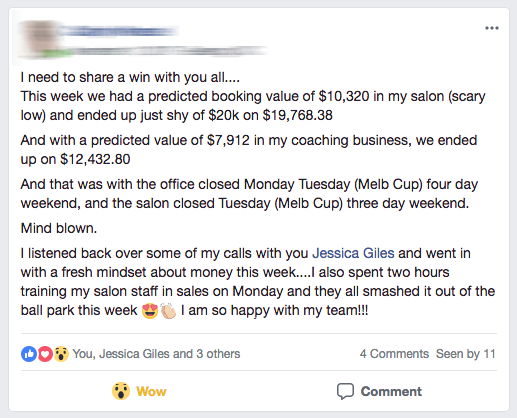 I have grown my client base to 13 clients, I am completely off the floor of my salon and am earning so much money it’s ridiculous! 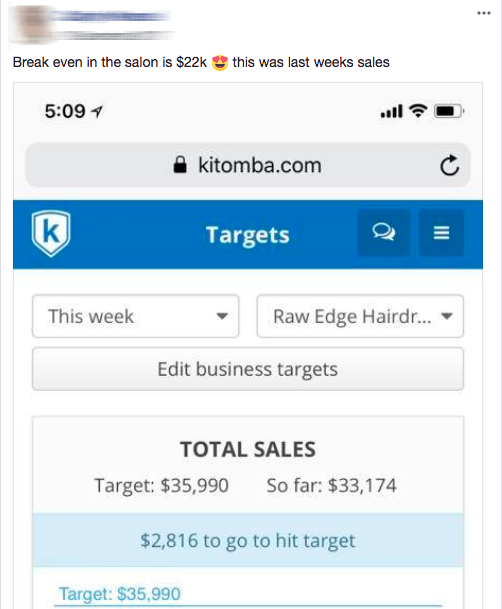 I am so on top of everything, money is allocated for taxes, new salon, savings and I have little pockets of money everywhere, something I never thought I would have! I had no idea how much my money story was affecting me, I have released this and now feel positive and excited about money. © 2019 Jessica Giles | Chic Money Pty Ltd.